Fuct's Ford parody was released at the right time in the right climate and was so perfectly put together that it could pass by the less observant without an iota of offence. 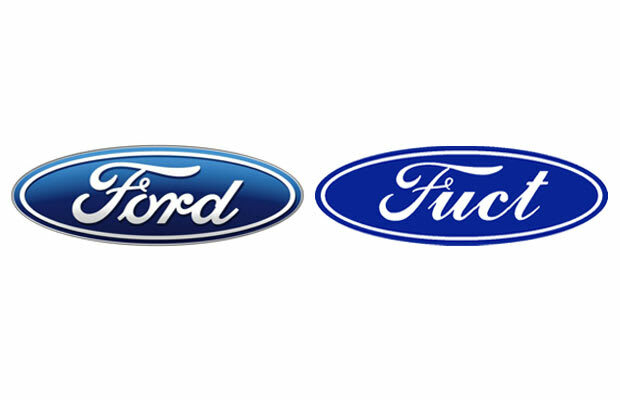 The automobile company's script is such a part of everyday life, that somebody had to mess with it—white trashers had been sporting the oval badges on their heads for a long time prior, and the Fuct Ford tribute ended up on the heads of celebrities as well as being a constant confiscation piece on schools. Was it some kind of statements on the environmental impact of the vehicular goliath's output? Nah. Just a cool looking take on a classic logo. When it was on hats and some rugged petrol station worker style coats it made a lot of sense and you could buy it in any color just as long as it was Fuct. A maverick masterpiece.